As an Advantage PT client, you already know the healing and restorative benefits of our individualized physical therapy and therapeutic massage therapy. Give an Advantage PT referral card to someone you think might benefit from Physical Therapy, massage therapy, or any of our other services and tell them to bring the card with them to their appointment. We'll collect the cards at check-in. 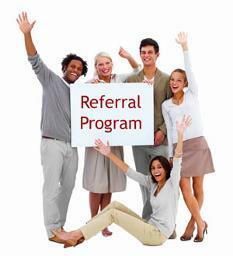 When you wish to cash in your referrals, contact us to schedule your free appointment(s). Need referral cards? You can print them below or obtain them at our location. For additional information, please contact us. Valid for new Advantage PT clients only.